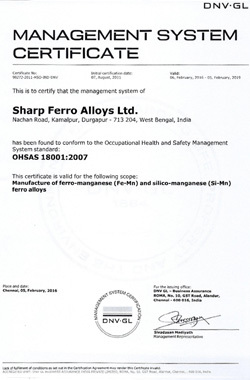 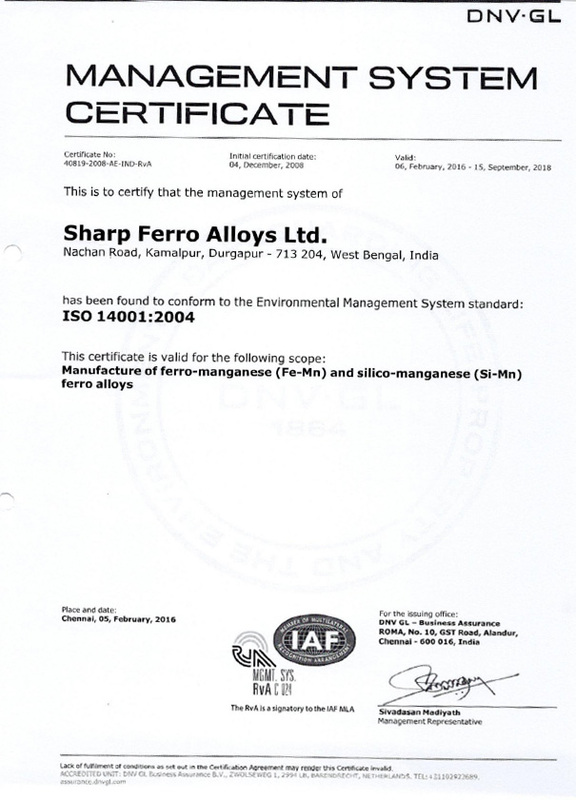 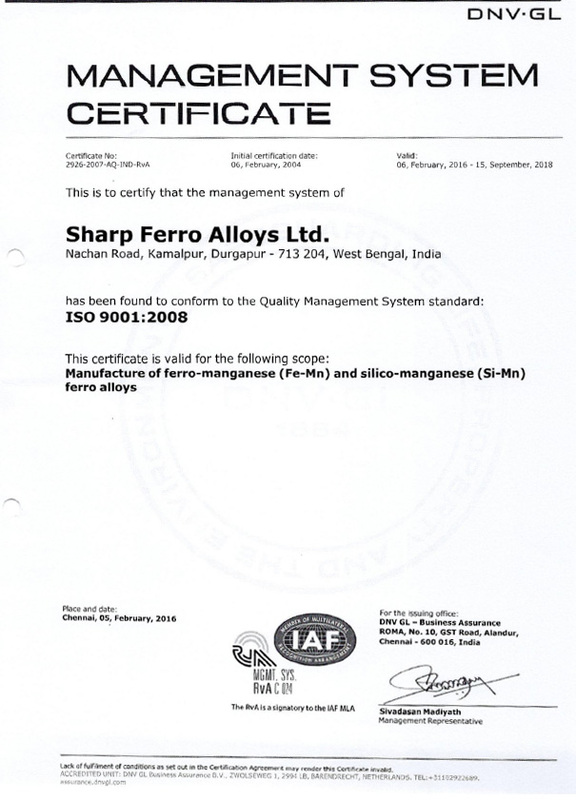 Quality And Certifications - Sharp Ferro Alloys Ltd.
SFAL is unique from the quality perspective due to comprehensive ISO 9001 certification for Quality Management besides ISO 14001 certification for Environment Management and ISO 18001 certification for Occupational Health & Safety. 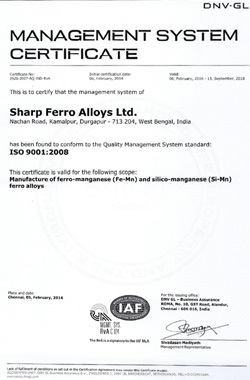 It is the policy of SFAL to distinguish itself from others as an industry leader by inculcating value, being world competitive and providing quality products and services to its esteemed customers at a competitive price. 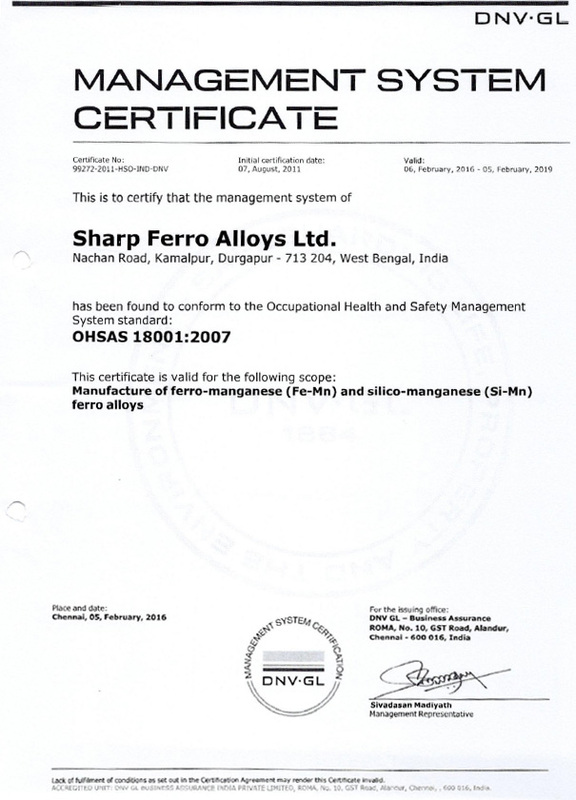 We are wholly committed towards maintaining excellence in quality and customer service through.